Home / Corinne Bacani / Huawei / Huawei Experiences Stores / HUAWEI nova 2i / tech / Sold Out First Day for Huawei Nova 2i! 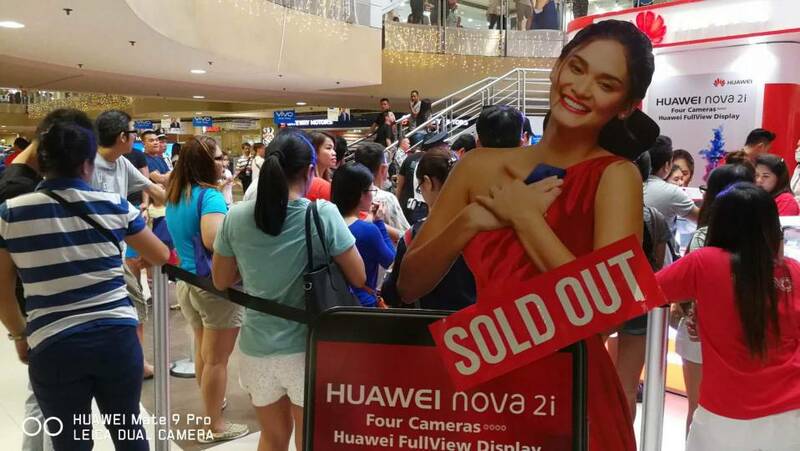 Sold Out First Day for Huawei Nova 2i! 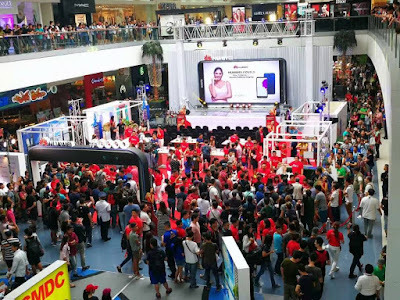 Huawei Consumer Business Group unveiled last weekend the HUAWEI nova 2i, a device that delivers a stunning combination of performance and power, and features a Huawei first: four cameras in one powerful phone. The HUAWEI nova 2i is designed to keep up with every selfie, every image and every social network that matters to today’s dynamic consumers with a new immersive HUAWEI FullView display. 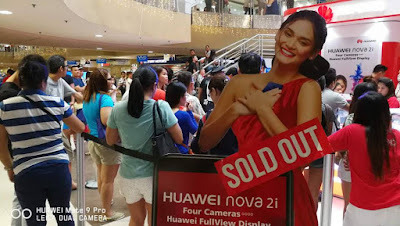 HUAWEI nova 2i can be purchased in graphite black, one of the three color variants that will be available in the Philippines. Like the iconic HUAWEI P10 and the stylish Mate series, the beautifully designed HUAWEI nova 2i brings to life advanced new ways to capture, share and experience the world. The HUAWEI nova 2i is the first device to feature brand new HUAWEI FullView display technology and delivers a high-quality 5.9-inch screen. The impressive 83 percent screen-to-body ratio and 18:9 aspect provides a beautiful widescreen viewing experience for crisp, clear and bright images. Launched initially with the HUAWEI P9 in April 2016, the dual-lens camera redefined smartphone photography, setting a new industry standard. 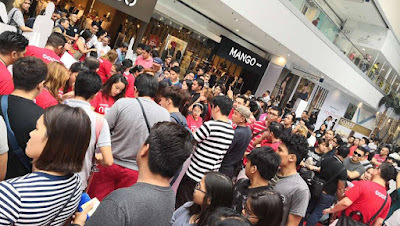 This continues into the HUAWEI nova 2i, featuring front and back dual-lens cameras, delivering exceptional photography experiences, whatever the subject and setting. The front-facing 13MP/2MP selfie camera takes portrait photography to the next level featuring a new Selfie Toning Flash which will give users studio quality lighting for more artistic and vibrant images. The rear-facing camera combines a 16MP lens and a 2MP lens. Both dual-lens cameras feature hardware-level bokeh for crisper, cleaner and more artistic photos and improved performance in low-light situations. The HUAWEI nova 2i’s sleek design begins with the breathtaking FullView screen, and flows seamlessly into the soft, curved edges of a unibody crafted from high-quality industrial materials. Each component – cameras, fingerprint sensor, USB socket, sensors and flash – is meticulously placed, on the front and back, to deliver a design that is as beautiful as it is intuitive to use. Powered by an 8-core Kirin 659 chipset, 4GB of RAM and 64GB of ROM, the HUAWEI nova 2i is capable of multitasking several applications while streaming content. The UX is deeply integrated with Huawei’s Android-7 based EMUI to provide a smooth, seamless experience by utilizing machine learning to optimize performance based on user behavior. The deep integration between hardware and software means the HUAWEI nova 2i’s 3,340mAh battery is long lasting. Additionally, its smart fingerprint sensor utilizes machine learning to become more accurate and secure with every use. The HUAWEI nova 2i also features the company’s proprietary Huawei Histen audio system to deliver extraordinary sound experiences for immersive video and gaming experiences. These packed features of the Nova 2i comes with a very packed price of Php14,990 and can be purchased via Huawei Experiences Stores and partner retailers nationwide. 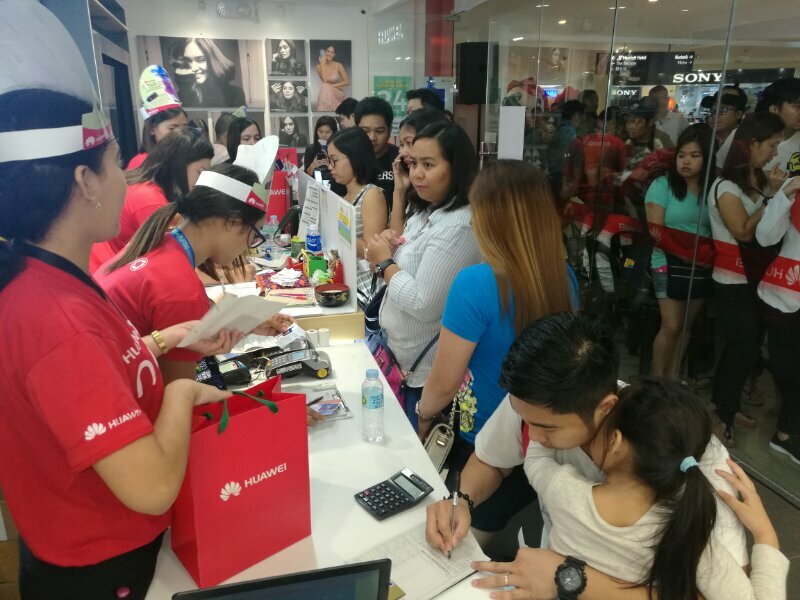 Starting October 21 to November 18, 2017, each purchase of Nova 2i in participating stores will come with a free speaker worth Php2,990 - Huawei’s early Christmas treat to their loyal Filipino fans. You may learn more about this promo at bit.ly/EarlyChristmasPromo. Alternatively, the Huawei nova 2i can also be purchased via Home Credit at 0% installment for 6 months without the need for a credit card.